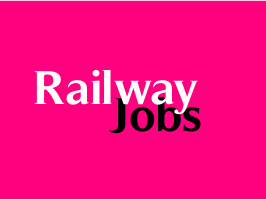 North Western Railway (NWR) Walk in Interview for Doctors for recruitment post of Specialist in respective fields as well as General Duty Medical Practitioners on full time contract basis. The Walk in Interview scheduled to be held on 14th to 17th December 2015. PG degree in concerned field of specialization along with valid and current registration with MCI/State Council. MBBS with valid & current registration with MCI/State medical council. Ajmer Division (05+1) : Divisional Hospital/Ajmer-01, Health Unit at Ajmer Station =01, Loco Health Unit at Ajmer-1, Abu Road-01, Dungarpur-01. 01 CMP for Road Mobile Medical Van Stationed at Marwar junction for mobile duty around Marwar Area. Jodhpur Division(05) : Divisional Hospital/Jodhpur- 01,Bagat ki Kothi 01, Degana-01, Barmer-01, Samdari-01. (a) The candidates should not have attained 50 years of age as on the cut of date for eligibility i.e. date of walk in interview which shall be relaxed by 5 years in case of SC/ST Candidates and 3 years for OBC Candidates. (b) For Retired Railway Medical officer, one can be engaged for a period of one year up to maximum 5 terms until attaining the age of 65 years. The candidates will be eligible to appear at only one place of choice as above and it will be considered for posting at any place over North Western Railway.